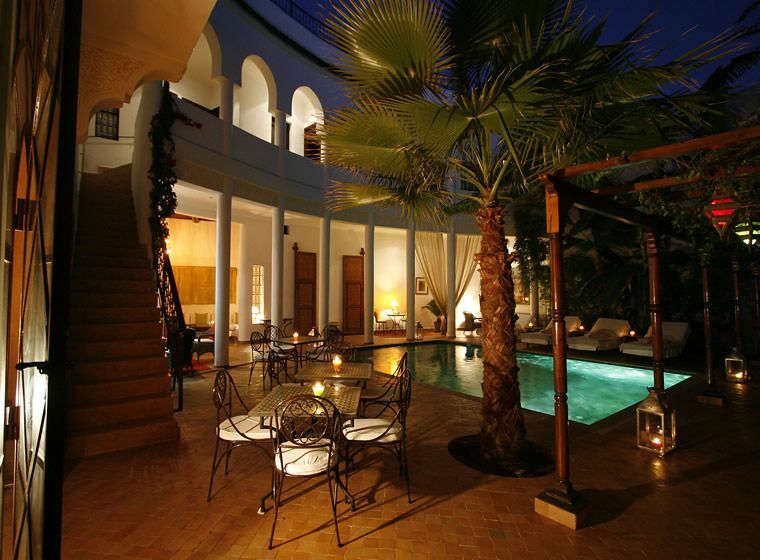 Riad Chergui - Luxury Riad in Morocco. 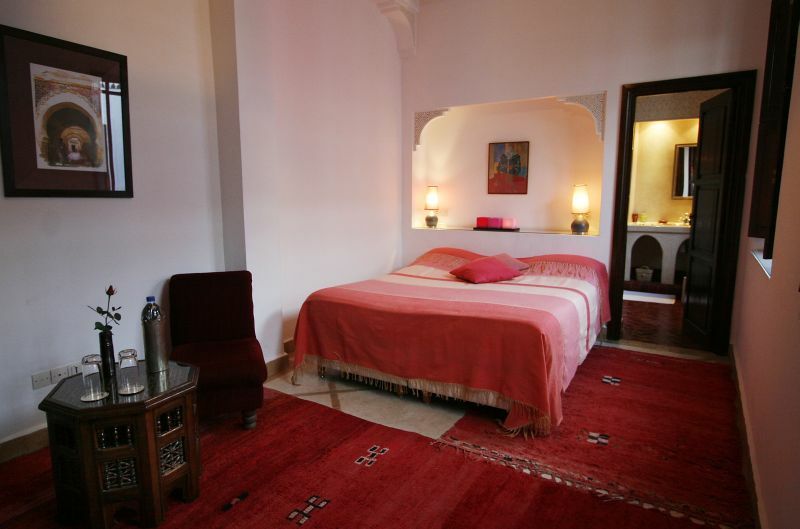 Book Riad Chergui Today with Hip Morocco - Holiday Accommodation in Marrakech, Morocco. 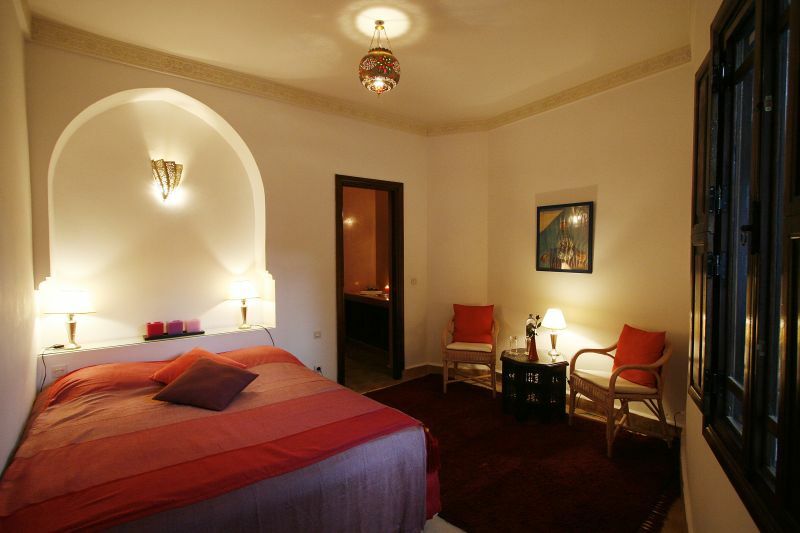 "Peaceful and charming riad located in the heart of the medina of Marrakesh"
Riad Chergui is a peaceful and charming riad located in the heart of the medina of Marrakesh, just a short 10 minutes walk from the central Jemaa El Fna Square and close to vehicular access. 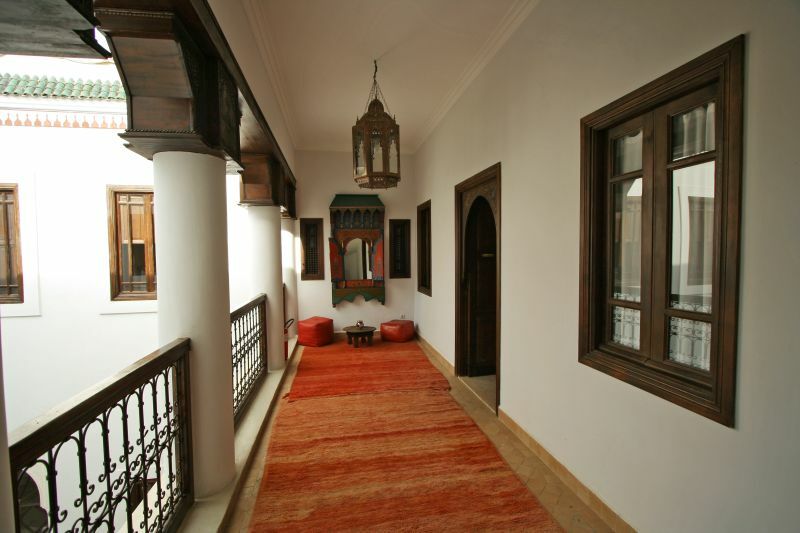 With plenty of space to chill out and relax, the beautiful traditional riad functions as a space of calm. 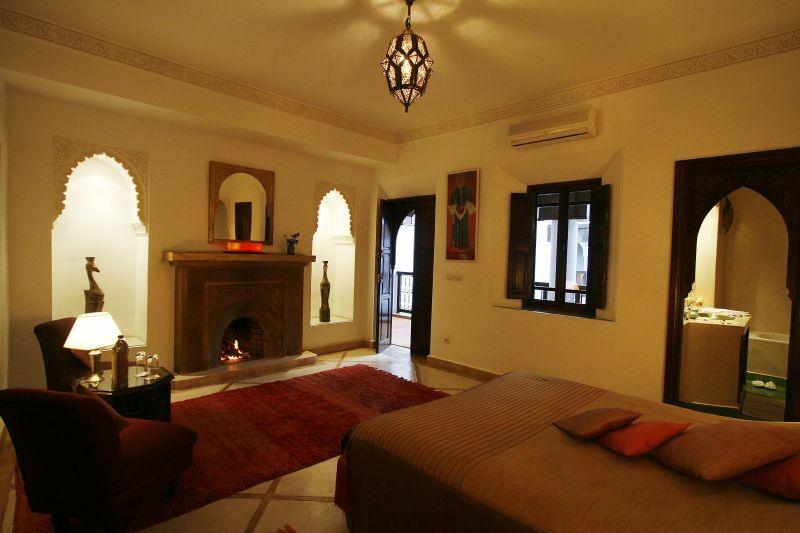 Indeed, Riad Chergui has been recently renovated and has been finished to a high standard. It features two courtyards and a good-sized pool for swimming, perfect for cooling off in summer months. 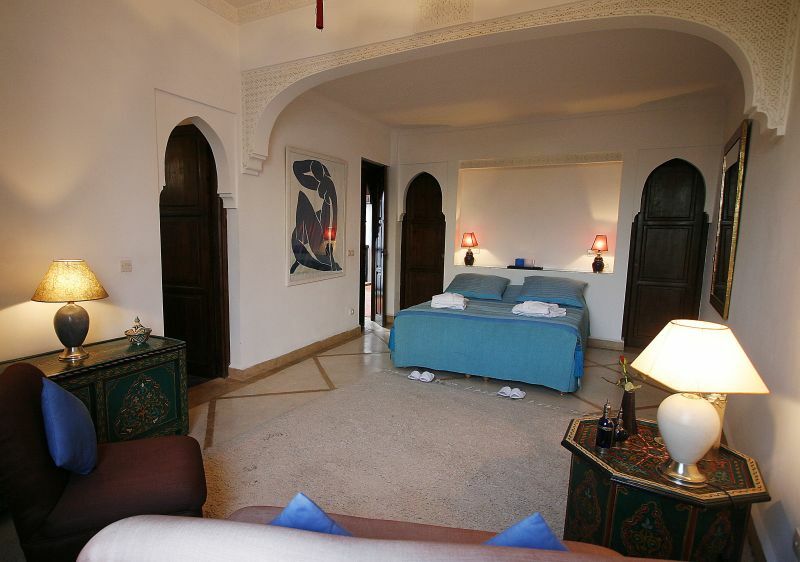 Each of the riad’s 9 bedroom all feature an en-suite bathrooms and air-conditioning. Rooms 1, 2, 5 and 9 can also accommodate an extra bed at 25 euros per night, this is great for a travelling family. Breakfast or dinner can be taken in the courtyard overlooking the pool or in the dining room off one of two courtyards. Chergui is run by the charming Emmanuelle, a local Moroccan with bundles of local knowledge and a certain willingness to share. He speaks fluent English and is available to attend to your every need. Breakfast: Your morning meal is included in your room fee. 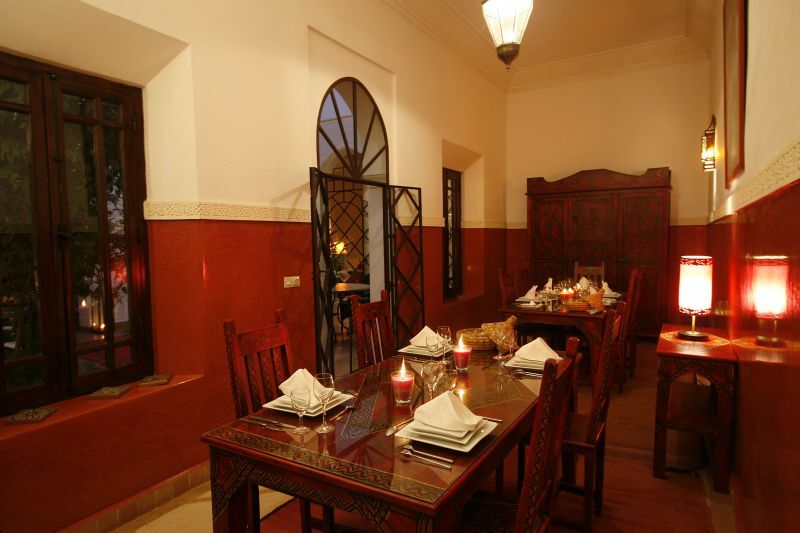 Dinner: Riad Chergui offer an evening dining service which starts at 20 euros (drinks not included), ask riad staff for more information. 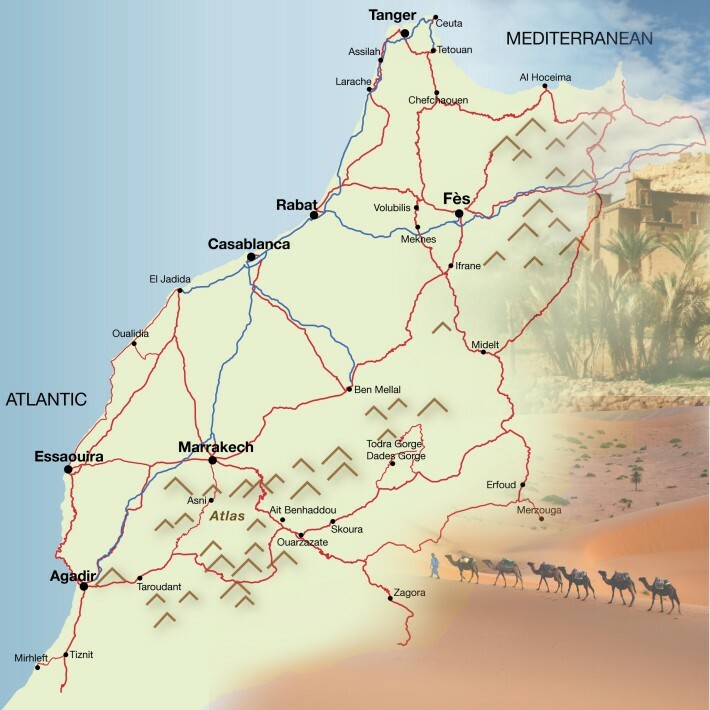 Whether you are looking for a guide to help you explore the fascinating old Medina, with its bewildering maze of alleyways and secret treasures; or are looking to journey further afield - to visit the beautiful Ourika valley; trek the High Atlas Mountains; or maybe spend some time in the awesome Sahara - our experienced staff can provide invaluable help and assistance in organising guides and tours to help you make the most of your time. 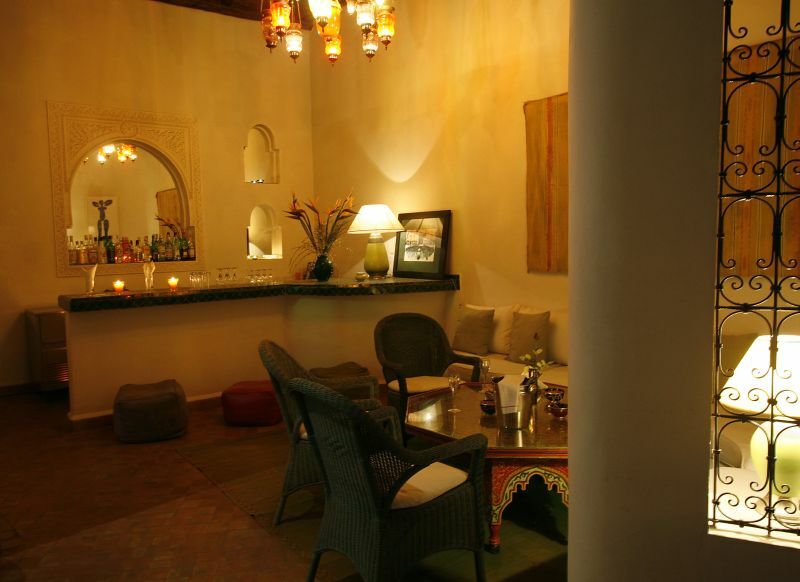 "Lovely hotel in a small back street of Marrakech Medina, warm welcome from the staff, peaceful bar and restaurant area round the pool. 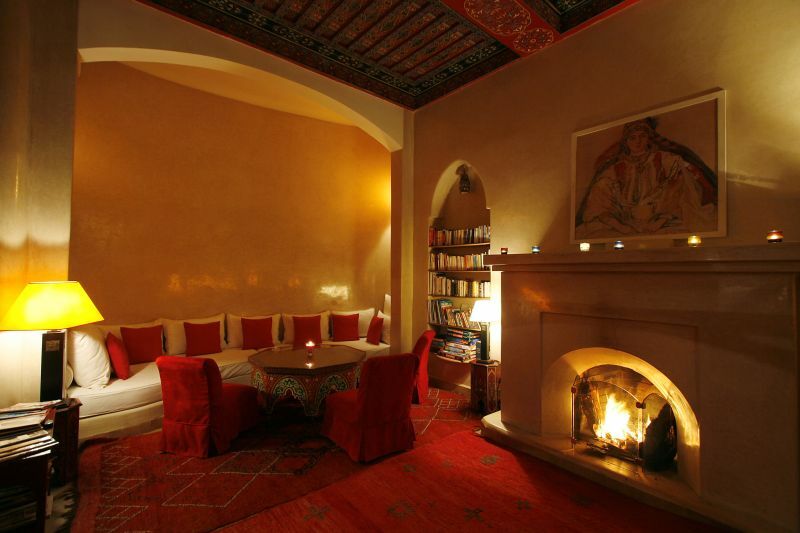 Lots of Moroccan style in the rooms and public areas. A secret escape. Highly recommended." "Riad Chergui is absolutely gorgeous! Everywhere you turn there's a beautiful little seating area, and the pool area is a little piece of heaven! It's quiet and peaceful. Meals on the pool terrace are lovely! Our rooms (1 and 2) were spacious, colorful, clean, and comfortable. AC worked well. The staff here works really hard, and our service from the second we arrived was top-notch." 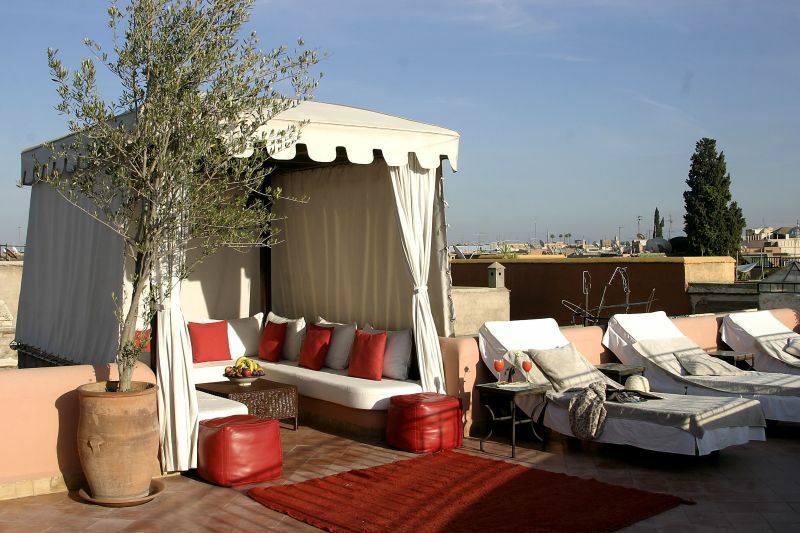 "A fantastic place to stay in Marrakech. Very quiet, but just a couple of minutes walk from the souk. We had a great room, and the staff and owner couldn't have been more helpful. There's a very relaxed atmosphere here, I'd definitely stay again. Top marks." "I honestly have to stay that this is one of the best places I've ever stayed. 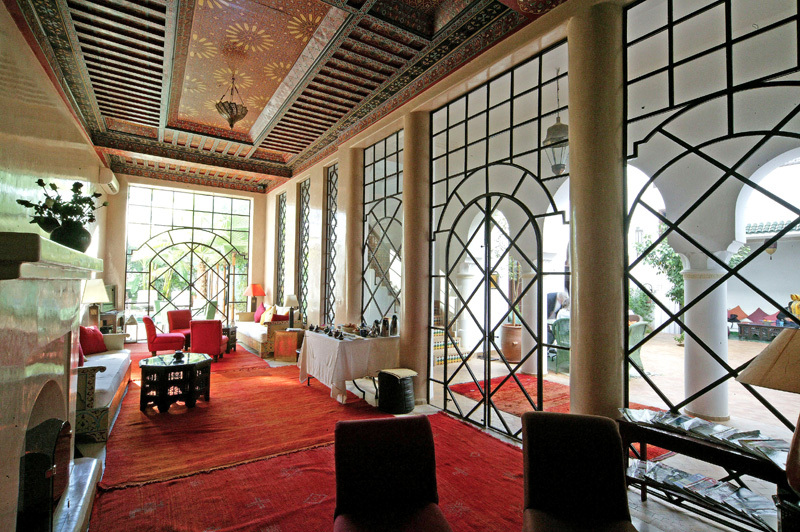 It's a beautiful building, just as one imagines a riad to be, and the facilities are very good. 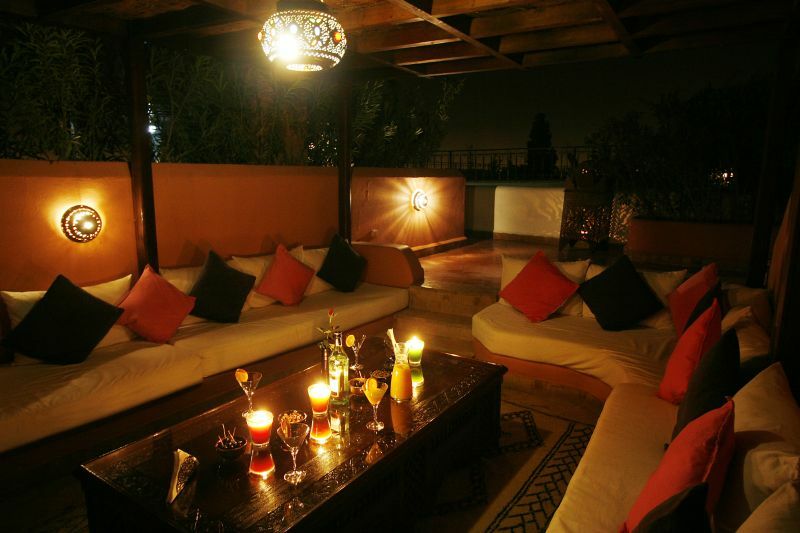 It's really well located near the souks and only 10 minutes from the main square yet it's tranquil and relaxing. The staff are superb and the owner, Emmanuelle, couldn't be more helpful. 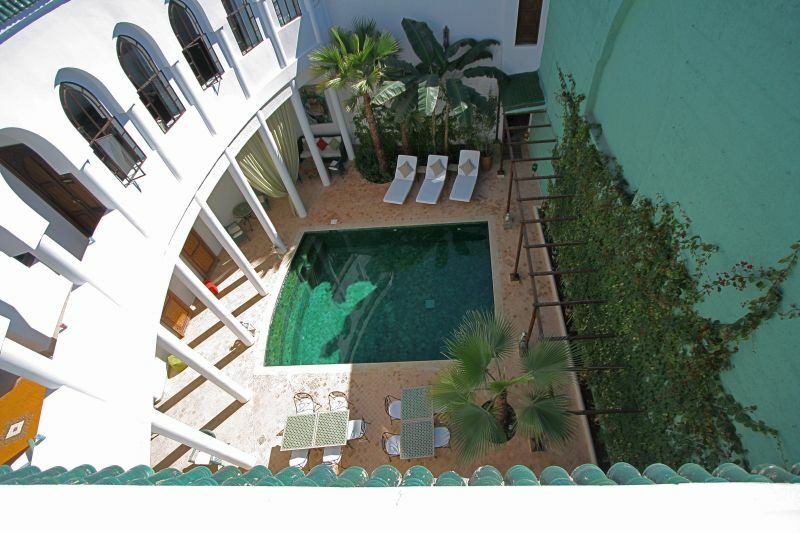 We loved everything about this riad and would recommend it unreservedly." "Chergui was a real highlight of our trip to Morocco. Staff were friendly, the hostess genial, location excellent, surroundings beautiful. Dipping in the cool pool surrounded by palm trees after lounging in the fierce sun is a memory that will stay with me forever. We had the cheapest room which was cool, cute and quirky. 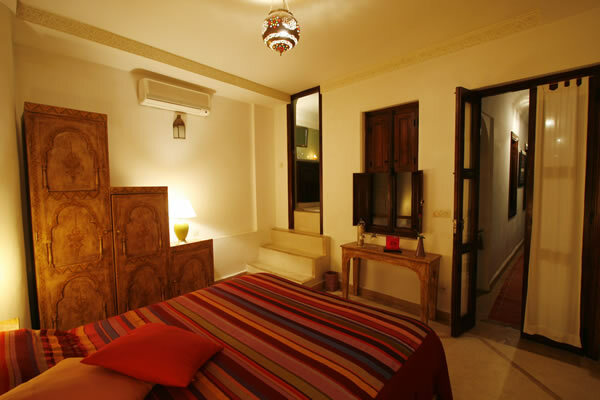 Just what you we wanted from our Riad experience." 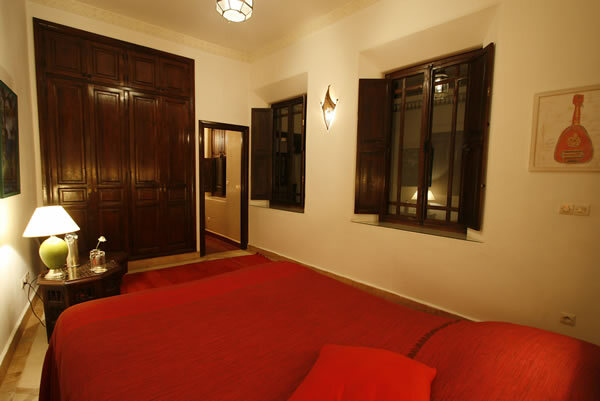 Riad Chergui is a peaceful and charming riad located in the heart of the medina of Marrakech, 10 minutes walk from Jemaa El Fna Square and close to vehicular access. 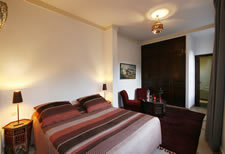 Large Room with dressing room and corner salon, bathroom with bath tub and shower decorated with Zellige and Tadelakt. Veiws of the swimming pool and patio. 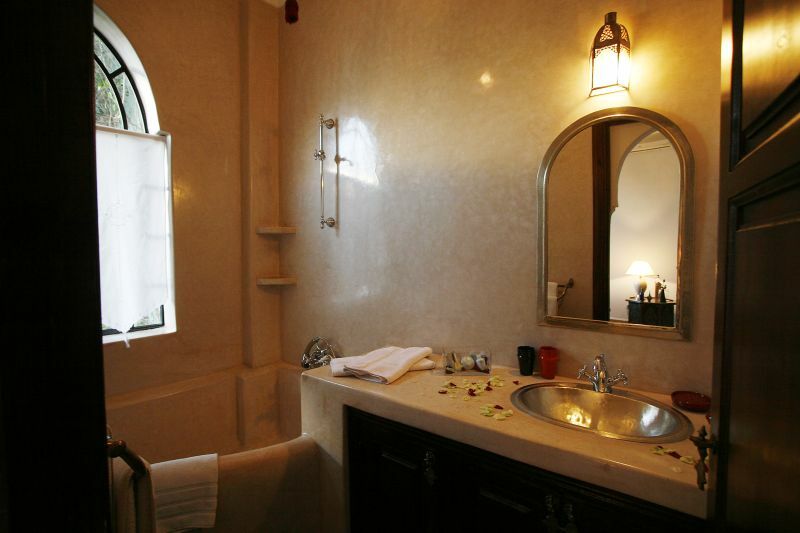 Room features: En-suite bathroom, air-conditioning, safe. Double Twin room, with extra bed on request. Large Room with a corner salon with open fire place, bathroom with bath tub and shower decorated with zellige and tadelakt. Views of the patio. Good sized double room with en-suite bathroom with shower and views into the patio. One of the smaller rooms with access off the upstairs patio, bathroom with shower (low ceiling in bathroom). Triple room, with extra bed on request. Good sized room with a corner salon. This rooms is good for 3 persons sharing. Bathroom with shower decorated with zellige and tadelakt. Good sized room with ensuite bathroom with shower decorated with tadelakt and bricks with a view to the patio. Good sized room on first floor overlooking the pool bathroom with shower decorated with zellige and tadelakt. Good sized room on first floor overlooking the pool, bathroom with shower and decorated with zellige and tadelakt. Good sized room on the first floor overlooking the pool, bathroom with bath tub and shower decorated with zellige and tadelakt. 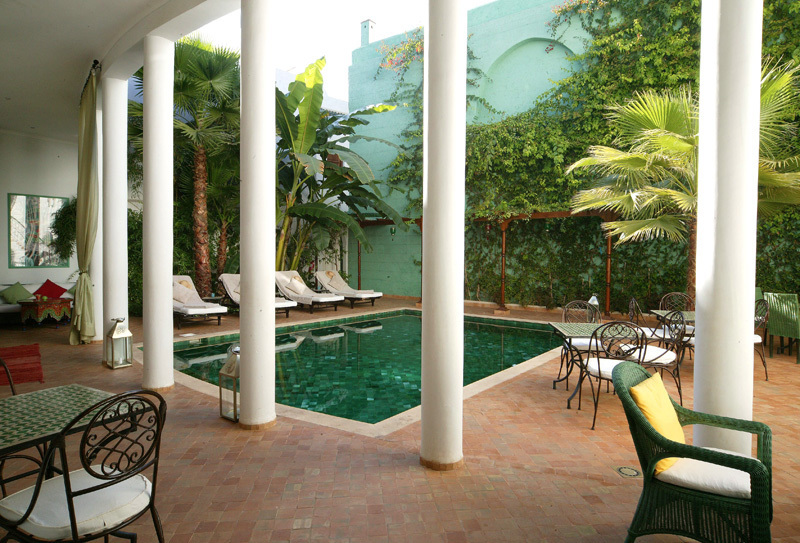 The base rate price at Riad Chergui is in pounds, euros, or Moroccan dirhams and exchange rates are approximate.